History student (this close to graduation) with a special love for medieval history. Reading progress update: I've read 240 out of 1200 pages. The book starts slowly (although the whole setting the ambiance around the guillotine is amazing) but now it has definetely picked up and it's hard to put it down. 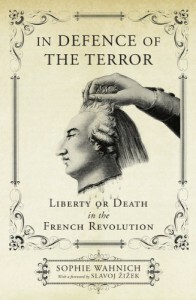 The author's detailed research is showing as he comments on the figures around the Terror and Thermidor. Pretty amazing book so far. Excellent essay on the Terror and on revolutionary violence. Not for those unfamiliar with the Revolution and a bit short in relation with the complexity of the subject. Slavoj Žižek's Introduction is particularly rousing and interesting (qualities I find in all his writings) although it is a bit chaotic, but that is common in Žižek's work. I appreciated the analysis he did of Corolianus. All in all, a provocative and enlightening analysis of not only the Grande Terreur but also of revolutionary violence. I did enjoy the book, but I think the first part (1789-1791) was stronger. The POVs varied in quality, I found Pauline, Danton, Claire and Robespierre's stronger than Manon and Condorcet's. 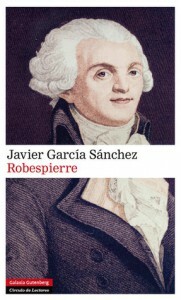 There were some characterisation choices I don't agree with: I think Danton lacked some strenght and I am not so sure about Robespierre's portrayal of ever-increasing insanity, as well as his treatment of Elèanor. 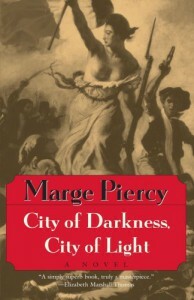 The prose was flat at some points but it was good at showing the material realities of Paris in the late 18th century, especially between the lower classes. All in all, a good book that I enjoyed, but lacking in some areas. Like its Medieval brother, this book is an easy, fun read. I skimmed over the parts about social organisation because they are a very general overview that any reader who is interested in the period's history is already familiar with. But the chapters and sections dedicated to every day life were a joy, as it is a subject often ignored by uni courses and political history. The only reason I gave it four stars instead of five is the lack of images to help the reader picture what is being described. I struggled in the geography sections: having no sense of direction at all and not knowing London except trough reading, I was quite lost at what the city looked like. My main problem with this book is Coby sets up to prove that Cromwell followed Machiavelli's teaching in The Prince and to do so reads all his actions trough Machiavelli's prism. But this methodology is risky: one often ends up forcing facts into the model, regardless of other possible (if not more plausible) explanations. 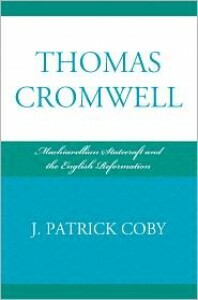 I read this book back-to-back with Schofield's biography and I found Coby's account of Cromwell's life and his death not only biased but unsubtle. Nothing new is added from what we know trough popular culture, which is a pity, and I was surprised by the author taking things out of context: most notably, the use of the word "Catholic" in the scaffold speech, taken to mean the Roman Church and not the use it was given in Lutheran circles in the 16the century. Lastly, and something always important to me, the scarce bibliography was frustrating and something I always dislike in non-fiction books. I've seen many people mentioning that this book was dry and I can't agree. 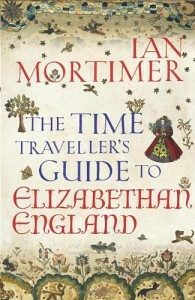 It might be the fact that I am used to reading historical theory books or that my definition of dry is closer to Suimption's, exquisitely detailed and masterfully researched, Hundred Years War series, but I found this book lively and easy to read. 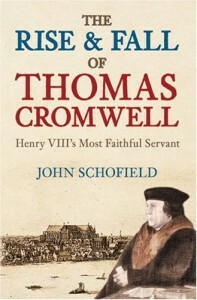 It is true that Schofield reaches some hagiographic moments in his defence of Cromwell, but I think that is to be expected when writing about a man so often slandered with such little reason. Like others, I've came to this books after reading Wolf Hall and Bring Up the Bodies and I have always liked Thomas Cromwell, so I am of course biased. But we all are, in the end, and I think Schofield's description of CRomwell's last months show that he was, indeed, capable of doing morally reprehensible things. Two things I loved about this books. The first was the clear explanation on Lutheran theology which, being raised in a Catholic family and a Catholic country and having attended a Catholic university was never too clear for me. The second is the abundance of sources and reference works. Too often one finds history books and biographies that make statements without citing their sources, which is frustrating at best and bad research at worst. But Schofield's book has a great bibliography section and his statements are backed up by evidence; a gift for those of us who want to keep reading on the subject. An interesting exercise was going back to Wolf Hall and Bring Up The Bodies to compare and contrast how Schofield and Mantel tell the same events and Schofield's influence is pretty clear, something I really enjoyed and allowed me to understand some parts of the novels better. All in all, I loved the book and I'll be re-reading it often.